With that mantra of Listen, Solve, Do, Berdon's professionals keep to the highest standards, deliver technical excellence, and exhibit professionalism in all that we do, in a culture that fosters teamwork and innovation. 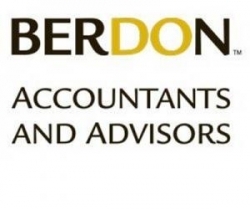 These principles have been the cornerstone of Berdon since our founding in 1917 and have propelled Berdon to national prominence. There are no technical silos at Berdon. Teamwork is the basis for our shared growth and excellence as well as the source of client satisfaction. We bring our collective expertise to bear on the client's behalf. With two offices - one in Manhattan and one on Long Island - we do not wait for answers or experts from distant offices to respond to a client issue. This concentration of talent, combined with the collegial atmosphere of the firm, allow us to be nimble and responsive to client issues.